Of course, that must be taken with a grain of salt, but truly, for those who are prepared emergencies are much less traumatic. So why don’t I have an emergency kit pulled together at home yet? It’s been on my to-do-list forever and I’m finally choosing to make it a priority this month! Depending on where you live, your emergency might look different from mine, but a basic emergency kit will hold the same things. I’m in the good ol’ Pacific Northwest and I know it’s only a matter of time before another earthquake shakes things up around here. Think about the disasters that could strike your area and plan accordingly. Think through what your family prefers and has a long shelf life. 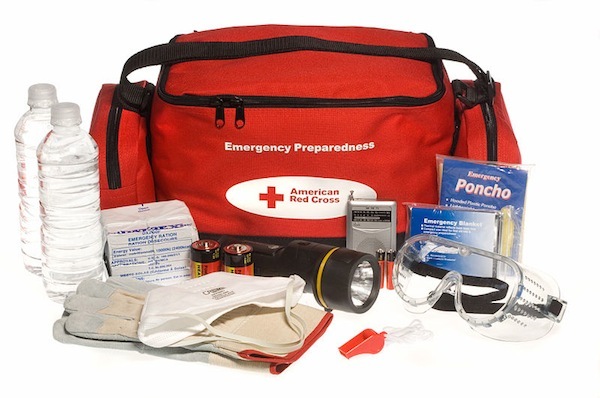 Each emergency kit should have enough for each person in your family for 3 days. If you are breastfeeding your baby, think through what alternatives you would want available for them in case you were separated from your baby or unable to nurse. Don’t forget about pets! Think through your normal day; make note of all the necessities you and your family use on a daily basis. Make sure the bare necessities are packed in your emergency kit. Depending on where you live, you might need clothing for a variety of seasons — pack layers so you are prepared no matter the time of year that disaster may strike. I’ll be honest, I consulted my husband to walk me through the necessary items we might need in regard to safety. I also thought it was a good idea to run this list by him before I started gathering from his work bench! Once everyone is safe, it might be awhile until electricity is restored or help arrives. 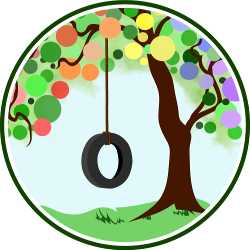 Package appropriate activities for your children. If home is inaccessible and internet is down, it would be wise to have copies of important paperwork and other information you might find helpful. Depending on where you live and how old your children are, you might have other things in your kit — what would you add? This is so thorough and helpful! You’re inspiring me to put some kits together. We have minimal storage space in our apartment — any ideas for which items are most important to include? Thanks Gretchen! I guess it should be like on a list of things to do annually (renew insurance, enrolment etc). Even the first aid kit sterilized stuff dry out too! As for the documentation, I have to agree. Every time I hear news about fires (March is fire prevention month where I come from), the first thing that comes to mind is that the only thing I’ll save (next to my kids, of course) would be my bag that has our birth certs etc. The documentation section is pretty important and you can do a mini version of the rest. Almost like the earthquake/emergency kits that schools have students put together with snacks, a flashlight, favorite picture from home, etc. You could tailor it to each person so the little ones have diapers/activities and parents have some extra food, kitchen supplies, and tools. This is great! I’ve been wanting to put something like this together for a while and this list will make it so much easier for me. Thanks for the list of suggesions. I’m also going to use part of this list and try to keep something in our car. That way if something happens, we can have water on hand in the summer, and things on hand in the winter. Great ideas! Except that I think if there is a tornado or something (the most likely disaster where I live), I’ll be fine for a few days without showering, so I probably won’t stock much in the hygiene category. Apologies to my rescuers! Thank you for posting this! I’ve been contemplating our Emergency Kit situation for a while. I think this motivated me to finally get on that project!